Baghdad says it will dismantle Turkey if it invades Iraq after Ankara deploys tanks and heavy artillery on its border. On Tuesday, Turkish military sources announced that a convoy of around 30 tanks and artillery has been deployed to the country’s southeastern town of Silopi, located on the border with Iraq. “Turkey is preparing in advance for whatever happens (and) this is one element of that,” he noted. Photos provided by the sources showed a long column of vehicles, including tanks, tank rescue vehicles, and construction vehicles in single file on a dual carriageway. 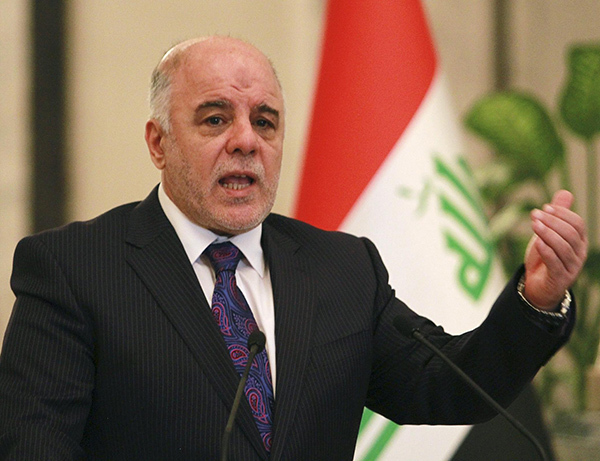 Following the remarks, Iraqi Prime Minister Haider al-Abadi warned Ankara over provoking confrontation with Baghdad. The latest developments are part of a dispute between Iraq and Turkey in which Ankara insists on taking part in the battle to liberate Mosul from ISIS, while Baghdad rejects the need for its help. Meanwhile, members of the Iraqi army’s elite forces, the Counter-Terrorism Service (CTS), have recaptured a village and a television station in Mosul’s eastern district, in their latest push to liberate the northern city from the grip of ISIS terrorists. Earlier, Iraqi special forces advanced towards the more urban center of Mosul after entering the outskirts of the city in a bid to retake it from the Takfiri terrorists. More than two weeks ago, the Iraqi army, volunteer Shia and Sunni fighters as well as Kurdish Peshmerga forces launched a long-awaited operation to wrest control of Mosul, the last stronghold of ISIS in the Arab country. Since then, the Iraqi forces have been advancing on the city on multiple fronts.